The video of Toronto’s former mayor Rob Ford smoking crack cocaine is now public, and for the first time can be viewed outside a courtroom. The infamous video of Toronto's deceased former mayor, Rob Ford, smoking crack cocaine is now public, and for the first time can be viewed outside a courtroom. 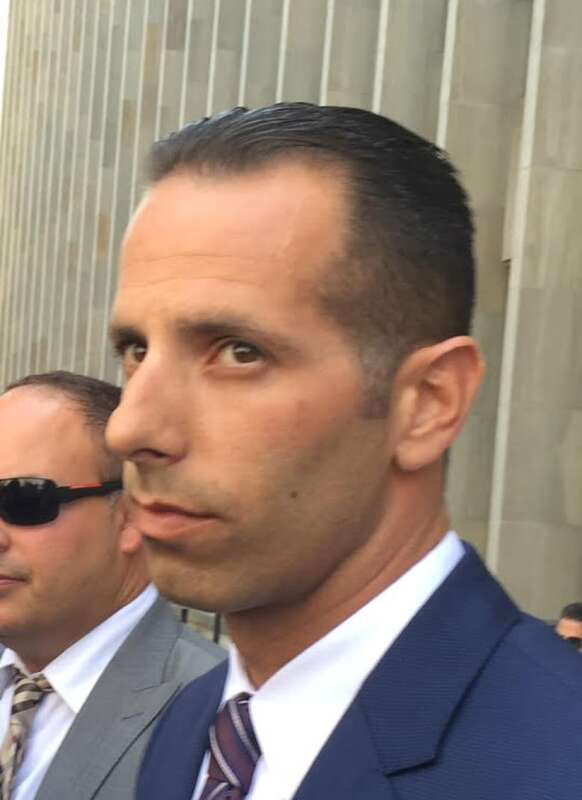 The video, shot in February 2013, was released Thursday morning after an extortion charge was withdrawn against Alexander (Sandro) Lisi, Ford's friend and former driver. It shows Ford swearing and mumbling while holding a crack pipe in his left hand, which he lights up and draws on, releasing a wisp of smoke. On the video, Ford speaks with Elena Basso, who remains off-camera. Basso lives at 15 Windsor Dr., located in the west Toronto suburb of Etobicoke, where the video is said to have been filmed. The video was entered as evidence in a court proceeding against Lisi, who was accused of extortion over his attempts to retrieve the cellphone that contained the video which proved to be politically explosive for Ford. Media first reported the video's existence in May 2013, sparking a year of controversy in Toronto — and around the world — during which Ford repeatedly denied that he smoked crack cocaine. The scandal triggered a police investigation. Eventually investigators discovered the video on a laptop seized as part of a guns-and-gangs raid. Toronto's police chief at the time, Bill Blair, declared he was "disappointed" after viewing the recording. He eventually admitted to substance abuse and checked into a rehab facility in the Muskoka region, north of Toronto. He emerged from treatment and resumed his bid for re-election as mayor. But in September 2014 he was forced to withdraw from the mayoral race, announcing he had been diagnosed with cancer. His brother Doug replaced him on the ballot but lost to John Tory. Rob Ford ran for his old seat on council and was elected. Ford's health, however, continued to deteriorate and he died of cancer in March of this year. On Thursday, Superior Court Justice Ian MacDonnell said dropping the charge against Lisi "closes a rather tumultuous chapter in our city's civic life." The following is a transcript of the Rob Ford crack video prepared by Crown prosecutors. BASSO: --- and, and, it's going to, excuse me, kill you. BASSO: --- don't do it. BASSO: --- that's, that's, that's what drives you baby, that's what I love. BASSO: That's why we love you. BASSO: --- you're right wing? BASSO: --- yeah sure, oh yeah. BASSO: --- then what the f--k is the Liberals then? FORD: (Inaudible) Liban, Liban (inaudible). BASSO: --- I hate Trudeau, man. FORD: --- (inaudible) f--kin' on, bro. FORD: I don't know if that cameras not on (inaudible).